Introducing the International Student Program at Capital Volvo in Tallahassee, FL! 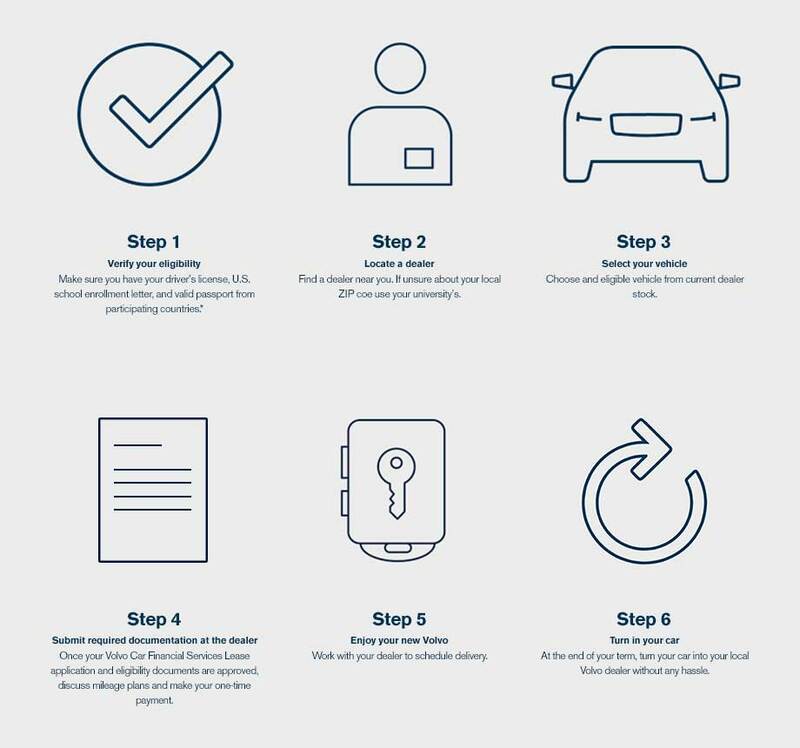 Now international students can make one easy, upfront payment and drive a brand-new Volvo for the duration of their term in the States! That payment includes virtually everything including auto insurance and factory scheduled maintenance. Then at the end of the term, just drop the car off at Capital Volvo. You pay for just the portion of the car you use. It's that simple! Being an international student with a lack of credit history can be challenging. Our International Student Program has only a few simple eligibility requirements. Let us show you how easy it can be to get behind the wheel of a new Volvo! With Capital Volvo's large selection of eligible vehicles, experience all the technology, comfort, performance, and safety of a new Volvo today! Fill out the form the get the process started. Then visit Capital Volvo, serving Tallahassee and drive home in a new Volvo!